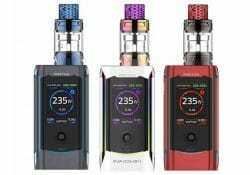 The iJoy Avenger 270 Box Mod features voice recognition technology, a modern appearance, 234 watts of power, customizable LED lights and versatile temperature control. 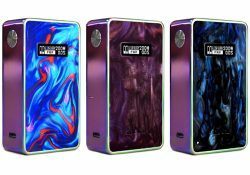 This box mod by Council of Vapor features a gun handle design, a portable form factor, an easy trigger fire botton, 240 watts of power, dual 18650 batteries (not included), passthrough charging and several operating modes including TCR, DIY and a full temperature control suite. 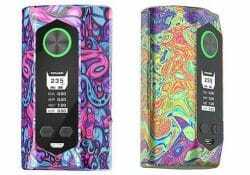 The Geekvape Blade Box Mod Kit features 235 watts of power, aircraft grade material, a swirling graffiti finish and utilize 21700, 20700 and 18650 batteries , as well as a top filled 0.15ohm sub ohm tank. 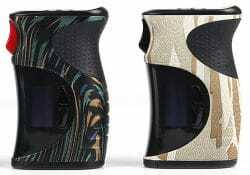 The Hato is the result of collaboration between Talent Vape and Soomook. 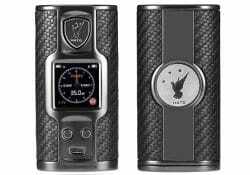 This powerful mod features a high performance V80 chip board, 8 color LED, 238 watts of power, temperature control, a beautiful design and dual 18650 battery compatibility. 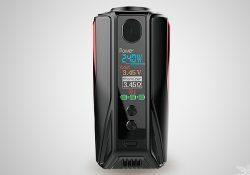 The Ijoy Genie PD270 features a one-of-a-kind ergonomic design, changeable RGB backlights, a large display, compatibility with atomizers up to 30mm, an LED flashlight function, 234 watts of power and a wide range of temperature modes. 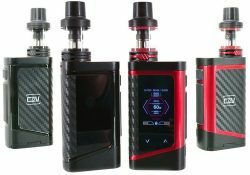 This kit includes both the Diamond PD270 Box Mod and Captain X3S tank. 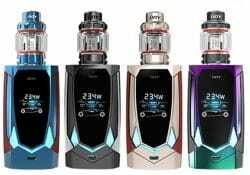 The setup features a diamond inspired design, a large OLED display, instant firing, 234 watts of power, TCR temp control, dual 20700 cells (included), 18650 battery compatibility, a 4.2ml juice capacity, easy top fill system and mid-wattage coils. 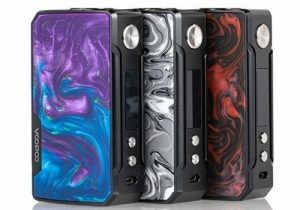 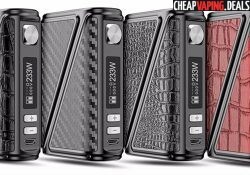 The Rofvape Warlock Z-Box is the smallest and most powerful two battery mod in the market place with 233 watts of power, luxurious materials and a Zorro design. 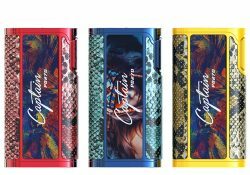 This new mod features a 1.45 inch full color display, joystick menu navigation, a plethora of temperature control features, a fast micro USB charging system, dual 18650 batteries (must purchase separately) and 235 watts of power. 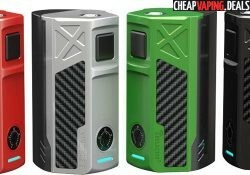 The Eleaf Lexicon Mod features a whopping 235 watts of power, LED "light show" accent lines, a modern design, dual 18650 battery compatibility, fast micro USB charging and versatile temperature control. 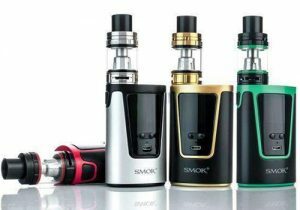 The kit includes the Ello Duro Tank that has mesh coils for taste/vapor production, an easily fill system, adjustable airflow and a 6.5ml juice capacity. 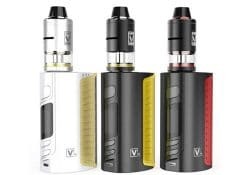 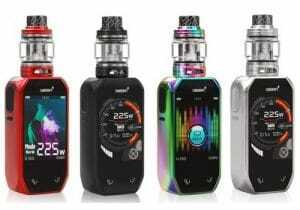 This kit features a full color TFT display, joystick menu navigation, versatile temperature control, TCR, dual 18650 batteries, fast charging, a 4ml of e-liquid, an easy push top fill system, dual bottom adjustable airflow and an 810 widebore drip tip. 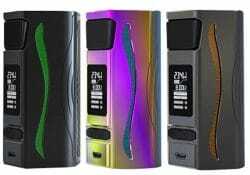 The Move 2 Box Mod features 240 watts of power, versatile temperature control, a full color display, bypass mode, custom mode and a wide range of safety features. 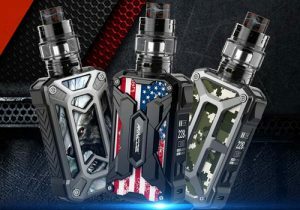 The Turbo RDTA-L features patented shield-tech anti-spitting technology, a 5ml tank reservoir, leak-free side adjustable airflow and an effortless system to switch from RTA to RDA mode and vice versa.